You haven't lost your sparkle, beautiful. You just need to know how to reignite it! On the surface? It’s about eating wholesome food, losing weight, and having more energy. But really? It’s a complete 180. A mind and body make-over. Getting your glow on, from the inside out. It’s designed for women who crave loving support and guidance to launch them into healthier habits — women tired of trying to navigate it all on their own. You don’t have to be a Yoga Teacher to feel incredible at any age. You don’t have to live a life of deprivation just to feel confident in your skinny jeans. And you don’t have to spend the rest of your life counting calories or dragging yourself to the gym. You can absolutely love your lifestyle, your body, and your food TODAY, angel-face. :: Reinvent the way you eat, drink and think – and free yourself from the diet/calorie trap – for good! :: Choose the right foods for your body so you can have boundless energy every single day (not just on good days). :: Whip up healthy, delicious meals in minutes, because you don’t have to spend hours in the kitchen to eat well. :: Bust through any barriers that have previously held you back (showstoppers like resistance, overwhelm and self-sabotage). :: Identify what it is you’re really craving (hint: it’s rarely the food!). :: Create a healthy lifestyle that is a whole heap of fun! :: Truly nourish yourself, in every sense of the word. Once upon a time, you loved life. You’re not quite sure how you got here but you want your sparkle back, dammit! You’re unhappy with your body and fed up to here with dieting and feeling exhausted. You’ve been watching others get their glow on and thinking ‘I want that too’ – but haven’t quite gotten there, yet. Food sensitivities, bloating, or tummy upsets have been driving you crazy. You’re stuck in a rut when it comes to your food and you feel confused and overwhelmed by all the ‘health claims’ out there. You crave deeper connections, and more presence, peace, patience and kindness. You dream of having glowing skin, oodles of energy, killer confidence, and a body that feels strong and graceful. You want a step-by-step guide to help you feel incredible again! You already sparkle with energy and are overflowing with joy, love and life. You’re not ready to shake things up and launch a lifestyle transformation from the inside out. You want a magic pill to make you thin and are not concerned with boosting your energy levels, fulfilment, or joy. Rebecca Weller is a Health & Life Coach, Author and Speaker. Named ‘One of Perth’s leading Healthpreneurs’ by The Sunday Times Magazine, Rebecca has coached hundreds of women to get their sparkle back and create a life they love. 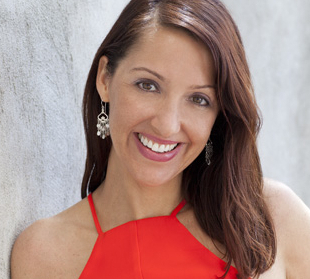 Creator of SexySobriety.com and VeganSparkles.com, she provides one-on-one and group coaching programs, speaks at live events, and is the author of the best-selling book, ‘A Happier Hour‘. Rebecca’s work has been featured by The Australian, The Huffington Post, SBS Food, MindBodyGreen, Good Health Magazine, and Elle Quebec. Learn more at BexWeller.com. I’ve had the honour of coaching hundreds of women to get their sparkle back and create a life they love. If there’s one thing I know for sure, it’s that diets don’t work. I’ve been there, baby. This was me a few years ago – trapped in a never-ending cycle of dieting, guilt, and hating my body. I suffered from anxiety, insomnia, chronic eczema, painful digestion, mood swings, and low energy. I had a dysfunctional relationship with food that not only ruined my energy but controlled my life (you can read more of my story here, here and here). Then I figured out the secret that changed everything. The secret I want to share with you. 6 x gorgeous, weekly Guidebooks to support and inspire your journey towards the healthy, happy lifestyle you crave. Plus, additional videos, resources, shopping list and meal planner templates, affirmations, and heart-centred vibes! I love creating beautiful tools to help you get your sparkle on. This program is filled to the brim with all the good stuff. A digital copy of Eating for Energy – right off the bat, so you can stir that first whisper of inspiration and motivation. More than 200 wholesome, plant-based recipes from wellness babes around the world. Healthy food made easy, fun, delicious, and satisfying. Proof that you don’t need to spend hours in the kitchen to get your glow on! Do I need to be vegan to join the program? No way, José! I’ll supply you with oodles of delicious plant-based recipes and resources, and you’re free to add to them if you need to. Plant-based, because eating more plants is one of the best ways to supercharge your efforts to get into your skinny jeans, make your skin glow, clear your mind, and boost your energy. But if you’ve ever been curious about how you’d feel on a vegetarian or vegan diet, this could be a great opportunity to find out. Will I go hungry during the program? Absolutely not. This is no boot camp, calorie/carb-restricted nonsense. This program is not based on deprivation or punishment. It’s a program deeply entrenched in wholesome eating and self-love. We’ll eat wholesome, nourishing food, and do lots of soulful exercises. And we’ll do it all with compassion and flair! I have food allergies. Will the program recipes be easily adaptable? Absolutely, beautiful! The recipes are easily adaptable so you can still enjoy all the good stuff. Living with allergies doesn’t have to mean missing out. I'm a bit fussy about my food. Will I like all of the recipes? I’m sure you’ve discovered by now that what works for one person won’t necessarily work for you. That’s why I won’t tell you exactly what to eat during this program. Instead I’m going to give you the information and tools you need to discover what really works for YOU. I’ll provide you with heaps of easy, healthy and delicious options each week that you can mix and match to suit your tastes, as well as lots of time-saving tips and ideas to help you create lasting change. I'm a busy bunny! How much time will I need to dedicate to completing the program? Each week’s module will take about an hour to dive in and complete. Naturally, the real value will be in implementing these lessons and changes into your daily life. But don’t worry – we’ll cover tons of savvy, time-saving tips to help you blend it all into your busy lifestyle. A life changing experience, a true awakening! Thanks again, Bex. You have been a true inspiration. I have been truly blessed to have had your guidance, support and The Sparkle Project to get me started on my glorious journey into this healthy and energetic life. I have more confidence, and so much more energy. I now give myself true love and permission to look after me and nourish my body/soul. I have gained a passion for wanting to guide others in feeling the same way and as a result have enrolled at IIN to learn more! My mind boggles at how I will be feeling 6 months from now… Wow. As I change my thoughts and lifestyle, my world around me changes, how exciting! I’m a new ME with a new LIFE. Thanks so much Bex for your guidance and help. I have learned so much. I’ve learned how to get in touch with my body and notice which foods don’t agree with me. I feel absolutely amazing – more energy, I can think more clearly, my skin and hair look much healthier. I feel I can conquer anything now and I will continue to eat this way for the rest of my life, it’s a definite lifestyle change. I was a bit anxious about starting the program, the unknown, and what I would have to do, but it was all so easy. Each weekly guidebook was so good and kept me on track, and I found it exciting. I started to notice a difference by the end of the first week – more energy and switched on. My big breakthrough is that I now feel confident in the kitchen and know I can make healthy recipes and enjoy what I produce. How good’s that! Never thought I’d see the day. I’m a new ME with a new LIFE. Thank you from the bottom of my heart. I knew it would be this program that transformed me and I was right. After following your blog, I knew it would be this program that transformed me and I was right. I learnt that self care isn’t just about meditation or yoga… that I need to focus on what makes me happy and not worry about the opinions of others, and that I need to use more affirmations to turn my self doubt into self love! I loved the guidebooks and recipes. I’m more confident now. I feel like I’m on the right path and can make the right choices without feeling deprived. THANK YOU!! – for creating this Project and for taking the plunge into health coaching. You are amazing at it. I’m so happy with the progress I made and feel so blessed to have had this opportunity. I lost 8cm from my waist and don’t need ‘Nanna naps’ anymore! I feel so much more positive. My energy levels are better and I don’t need ‘Nanna naps’ in the afternoon anymore! I loved trying new foods and the freedom of adding things in, rather than worrying about what was ‘forbidden’. I changed from thinking: ‘I can’t have that’ about comfort foods to thinking: ‘I don’t want that’, which is such a relief and better way of living. I’ve been getting others involved in the lifestyle too, making it more fun – teaching friends how to make smoothies, and making healthy new meals with my son. I lost 8cm from my waist and gained the courage to join my local gym! THANK YOU! Permanent changes have been made… I am on the right track. I highly recommend this program to anyone who is interested in turning their life around. I have changed the way I eat – I take it slower and enjoy what I am eating. Also I learnt that raw food can taste really nice, especially some of the desserts which I wouldn’t have even thought of before. I would highly recommend this program to anyone who is interested in turning their life around by eating healthier. A very professionally presented program with lots of information, recipes, help, advice, and support. I was very impressed. I enjoy life more now! This is to tell you what a wonderful experience it was to participate in your project. You were there all the way through cheering me on and teaching me how to stay positive. For me the turnaround point was when I felt that I was becoming conscious of making different food choices. I started also feeling more balanced and relaxed about my unending “to-do” lists. In fact, I feel I get more done than before, and without feeling drained by the end of the day. I enjoy life more now! I will stay tuned into your newsletters and website; this way you will stay in my life, and I will remember the good work done during the last 6 weeks so that I can hold on to how I feel today! I feel like I am out of the ‘rut’ I was in. Thank you so much for the past few weeks. I really feel like I came a long way in my relationship with myself and food by following the program. I feel like I am out of the ‘rut’ I was in before I started out and I definitely have a lot more tools at my disposal to help me keep on track into the future. Keep up your amazing energy – you are definitely an inspiring, warm and fun-loving woman. I discovered I love smoothies more than cookies! It has been a wonderful journey! I have learned a lot, experimented in the kitchen and started to cook more. I have discovered many amazing recipes, new ways to eat vegetables (the zucchini spaghetti is my new favourite salad now! ), and that I love smoothies more than cookies! A wonderful, life-changing program. I have learnt so much and my life is better in a short amount of time. Food is now a wonderful part of life, not a struggle. I have also lost 5 kilograms. Yay! Something we will revisit again and again. Each week I felt so energized by putting good food in my body and taking care of myself. This energy definitely helped keep me on track. I wasn’t perfect, but I also think a great part of this for me was allowing the imperfection and just moving on instead of using it as an excuse for derailment. Thank you! I want to do it again!